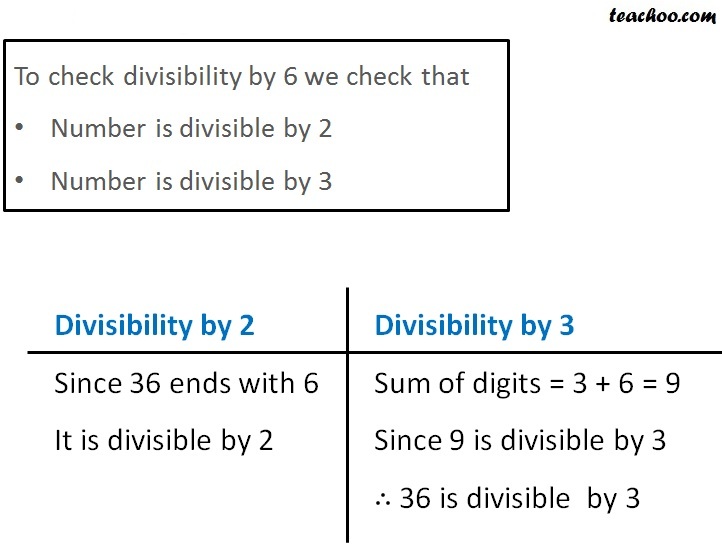 Is 36 is divisible by 6? 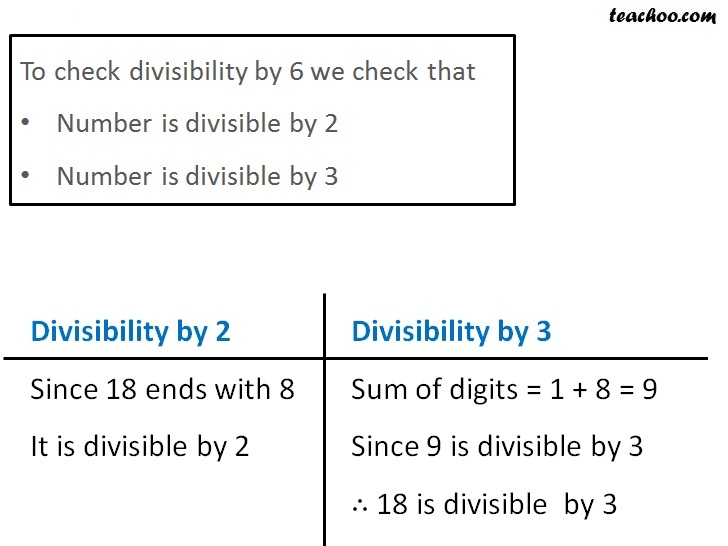 Is 18 is divisible by 6? 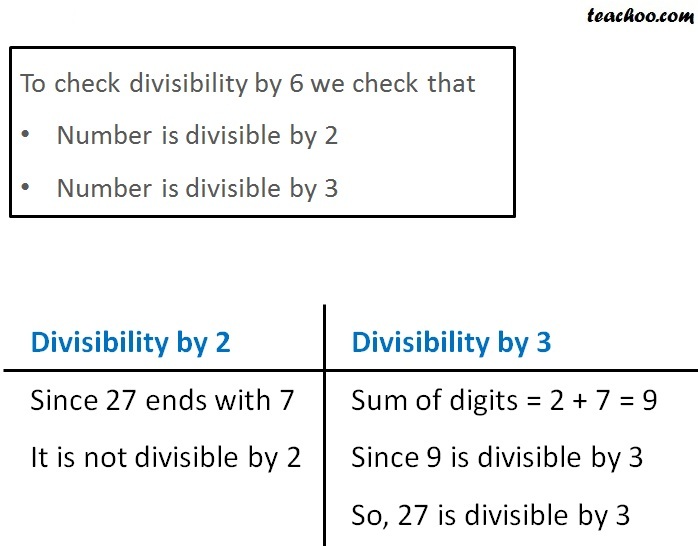 Is 27 is divisible by 6? Is 216 is divisible by 6? 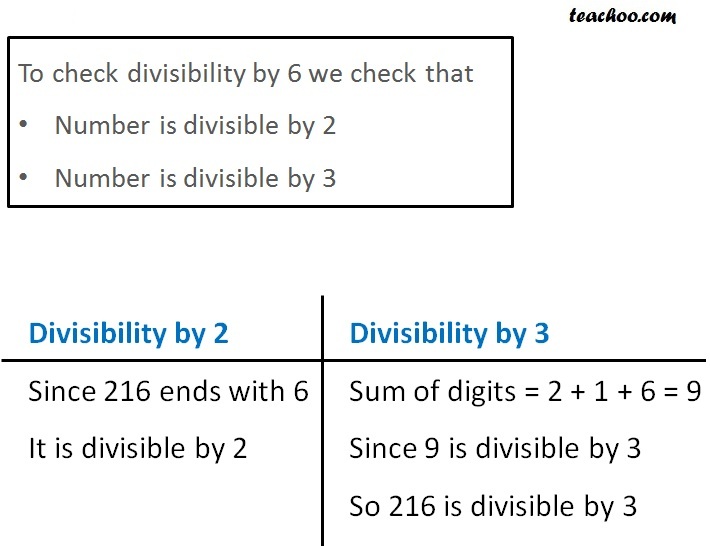 ∴ It is divisible by 6.